If you haven’t eaten one in a while, here are seven benefits of bananas that will convince you to make them a part of your daily diet. Banana peels can be used to soothe bug bites, whiten teeth, and clean leather shoes. Before we get into what bananas offer, let’s look at some facts: Bananas, which are part of the berry family, are believed to have been cultivated as far back as 8,000 BCE in Southeast Asia and Africa. Portuguese sailors brought the fruit back home with them after their travels to Africa in the early 1400s and it worked its way through the Caribbean, South America, and, finally, North America in the 1800s. Until 1836, humans knew of and ate only green and red bananas, which are bitter in taste and are cooked before being eaten, until Jamaican chef Jean Francois Poujot discovered a mutant strain on his plantation that was sweet and yellow. Today, yellow bananas are one of the most cultivated fruits in the world. #1 Bananas are loaded with essential vitamins and minerals. Not only are bananas low in calories and naturally free of fat, cholesterol, and sodium, they’re packed with a variety of nutrients, including potassium, magnesium, folate, and vitamins C and A. Because bananas are rich in potassium and magnesium, they can help restore your body’s levels of glycogen, which aids in rebuilding damaged muscles, making them a great snack after a rigorous workout. #2 They can lower your blood pressure. #3 Bananas are good for your digestive system. #4 They can help reduce your sugar cravings. Not only are bananas a good source of fiber, which helps keep you full, they also contain pectin, known to stabilize blood sugar levels. Bananas are also considered to be low-glycemic, which means that they won’t produce any spikes in your blood sugar, which can cause sugar cravings. #5 Bananas can help ease the symptoms of depression. #6 They can help prevent cancer. Because bananas are a good source of vitamin C, they can help prevent cancer. Vitamin C fights off oxidative damage caused by free radicals, which is one of the main causes of cancer, particularly leukemia in young children. In addition, foods high in fiber are associated with a reduced risk of colorectal cancer. #7 They’re a good choice for diabetics. 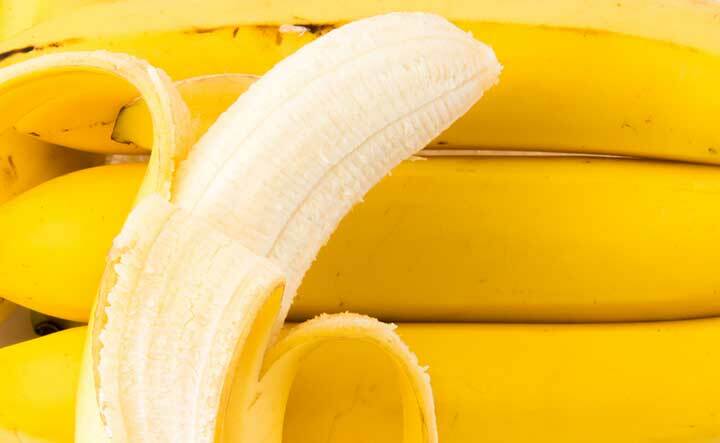 As we mentioned earlier, bananas are a good source of fiber, which is good news for diabetics. 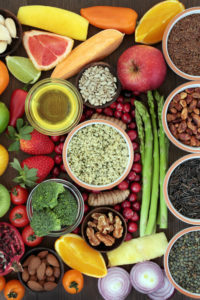 According to studies, those with type 1 diabetes who consume high-fiber diets have lower blood glucose levels, while type 2 diabetics experience improvements in blood sugar, insulin, and lipid levels. While bananas are generally safe and healthy for most people, there are a small number of people who need to limit or avoid consuming bananas. If you’re allergic to latex, there’s a chance to that you’re also allergic to bananas. If you experience any itching, hives, swelling, or trouble breathing after eating a banana, consult your doctor to be tested for a possible allergy. And while diabetics may be able to enjoy the health benefits of bananas, doctors recommend they be eaten in moderation because they’re high in sugar and carbohydrates. Too much potassium could also cause serious health issues, so if you’re taking beta blockers or you have kidney disease, consult with your doctor before making bananas a part of your daily diet. allergy, beta blockers, blood glucose levels, blood pressure, blood sugar, blood sugar levels, brain, calories, cancer, cancer prevention, causes of depression, children, cholesterol, colon health, colorectal, colorectal cancer, depression, diabetes, diabetics, diet, digestive, fiber, folate, food, free radicals, glucose, glucose levels, health, heart health, high blood pressure, high blood pressure and, hives, insulin, lack of serotonin, leukemia, lower cholesterol, lower your blood pressure, magnesium, neurotransmitter, nutrients, oxidative damage, potassium, potassium and magnesium, potassium benefits, serotonin, stroke, sugar, sugar levels, supplements, symptoms of depression, trouble breathing, tryptophan, tryptophan foods, type 1 diabetes, vitamin, vitamin c, vitamins, vitamins and minerals.